Published at ‘Russia beyond the headlines’ (http://www.rbth.co.uk) on September 16, 2013. As the clunky Soviet empire was crumbling in August 1991, a 23-year-old graduate of a top-ranking Moscow language school named Peter Reznikov took the plunge and headed for “the Wild West,” as his family referred to Britain. A professional interpreter working part-time for the Soviet Finance Ministry and Foreign Office, Reznikov had made quite a few useful connections with foreigners that flocked to Moscow during perestroika. One of the contacts translated into a job opportunity that Reznikov couldn’t miss – he was invited to work on a one-year contract as an interpreter and personal assistant to the education officer of Clwyd County in Wales. By the end of 1991, Reznikov had received job offers from five local schools that were looking for a teacher of the Russian language and Soviet affairs and started an education consultancy, Peter Reznikov International Centre for Education (PRINCE). Over the next few years he moved around Britain teaching Russian until his fate took a twist again – he stumbled upon a job ad for the head of Russian at Eton in the Times Educational Supplement (TES). “I applied and I was admitted, so I’ve been working at Eton for 15 years now,” Reznikov says. When he joined Eton in 1998, the rate of students learning Russian was quite low. “We had fewer than 20 boys back then,” Reznikov recalls. In the past 15 years, the numbers of Russian-language students have been growing steadily, reaching 130 in 2012. 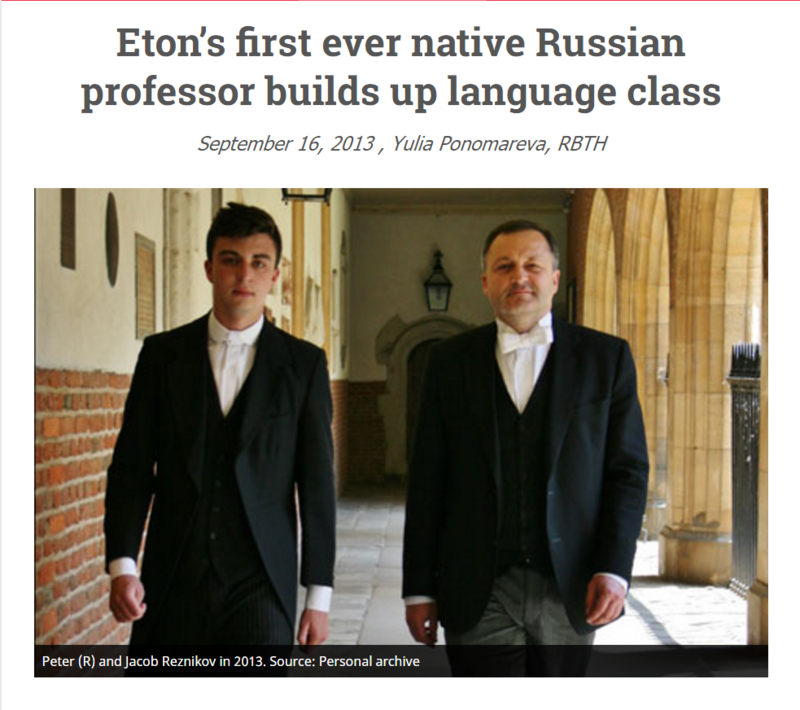 One hundred years after Russian was introduced at Eton, every tenth student takes it up as one of the two foreign languages that they are offered to learn at Eton. Today the college has the biggest share of Russian-language students in its history. Interest in learning Russian, in Reznikov’s view, also tallies with political and economic changes in the country. “When Gorbachev came to power, there was a massive rise in numbers of students picking Russian, then there was a drop with Yeltsin, and then with Putin it went up and stabilized,” Reznikov says. Students themselves, Reznikov adds, take great interest in political developments worldwide and try to keep abreast of them. 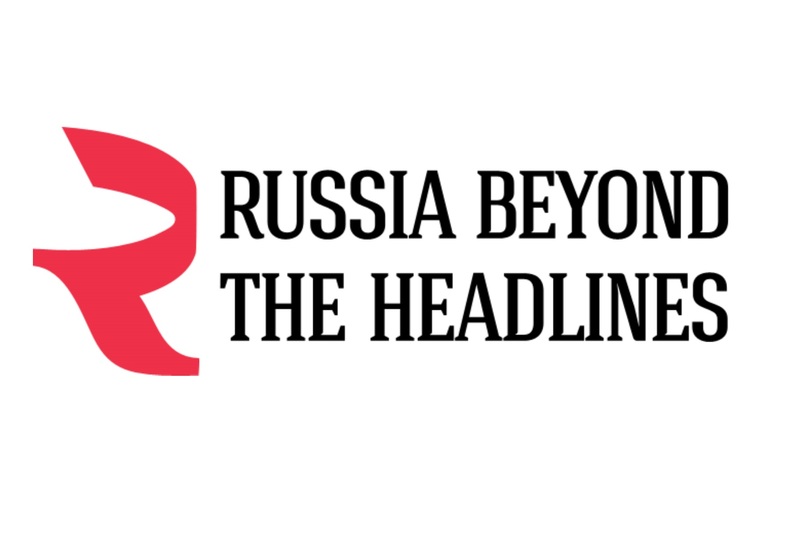 “They read newspapers and surf the Russian net and are very up-to-date on what’s happening in the world, and we have open and quite often heated discussions,” Reznikov says. While the choice of foreign languages is more often than not influenced by a boy’s parents, students are later offered to decide whether to carry on with the languages they selected initially. In Russian class, drop-out levels are one of the lowest. “We usually get between 20 and 40 boys who sign up for Russian when they arrive at Eton. Last year only one boy decided not to carry on after the first year, this year all boys decided to stick with it,” Reznikov says. If a student picks Russian, he starts learning it from scratch. By the end of the third year he is supposed to know somewhere between 2,000 and 3,000 Russian words and basic grammar, including cases and tenses. In the fourth year, Reznikov adds literature, history, film and culture to his course. This year’s syllabus, for instance, featured Leo Tolstoy’s “Childhood,” a classic novel about the torments of a boy coming to realize that his childhood is over. Reznikov also showed his students two films: “Vor” (The Thief), a 1997 Academy Award nominee for the best foreign language film, and “Vozvrashcheniye” (The Return), which was awarded the Golden Lion at the Venice Film Festival in 2003. Set in the post WWII Soviet Union, “Vor” is the story of a six-year-old boy learning to get along with his step-father, who turns out to be a swindler. In “Vozvrashcheniye,” two adolescent boys meet their father after he was gone for 12 years and see him die a week later. Students in their final year read Mikhail Bulgakov’s “The Heart of a Dog,” a biting satire on the Bolsheviks’ efforts to empower the rabble, and also watched its adaptation to later write essays about understanding the Russia of the 1920s. In addition to studying books and films, Reznikov took a group of his students to a show of one of the most successful Russian rock bands, Mumiy Troll, in London in May.